We flew down to San Jose for some work stuff this morning and thanks to a killer tailwind we got here with plenty of time to spare. We thought we'd grab a quick lunch before our meeting, so I pulled up Yelp on my iPhone and searched nearby restaurants. We decided on Kenny's Cafe. It was close to the airport, the ratings were good (4.5 out of 5 stars average), and there were 65 reviews (soon to be 66). 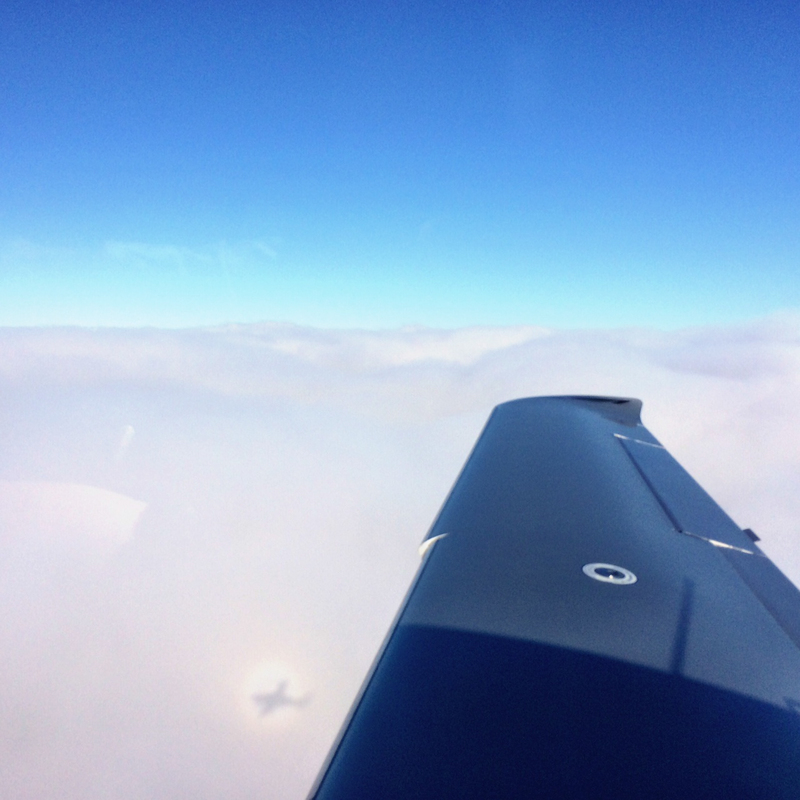 Kenny's is about a mile from Atlantic Aviation and easy to miss. A "mom and pop joint/hole in the wall" description was accurate. We were a little on the early side of the lunch window and there were only two other customers seated when we walked in. We were greeted by the very enthusiatic and friendly Kenny, who welcomed us warmly as first time guests. 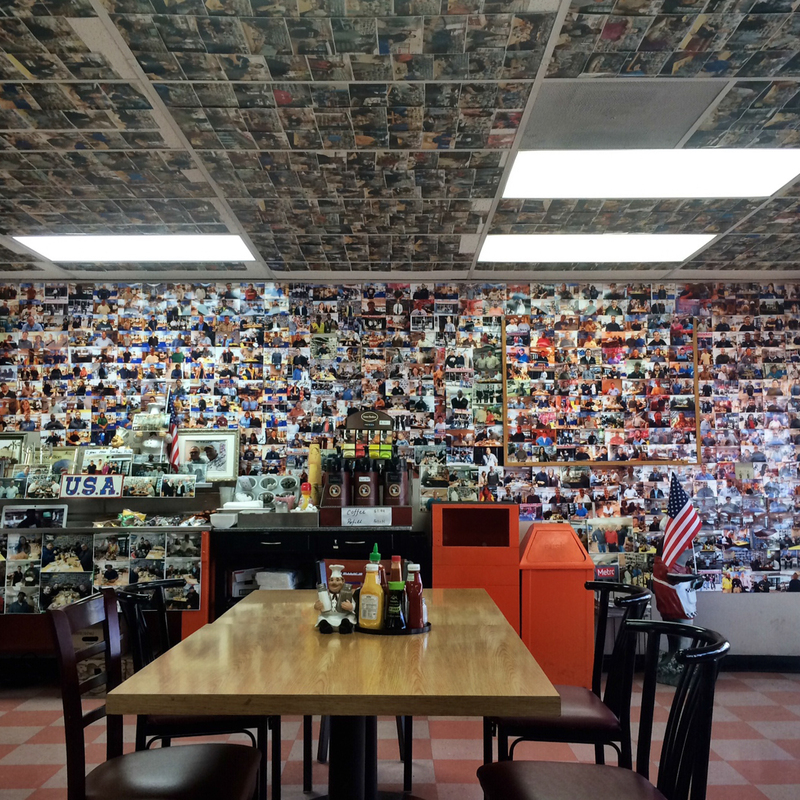 The walls and ceiling are covered with photos of Kenny's very valued customers, and he is proud of the number of regulars he's collected in the two years he's been open. 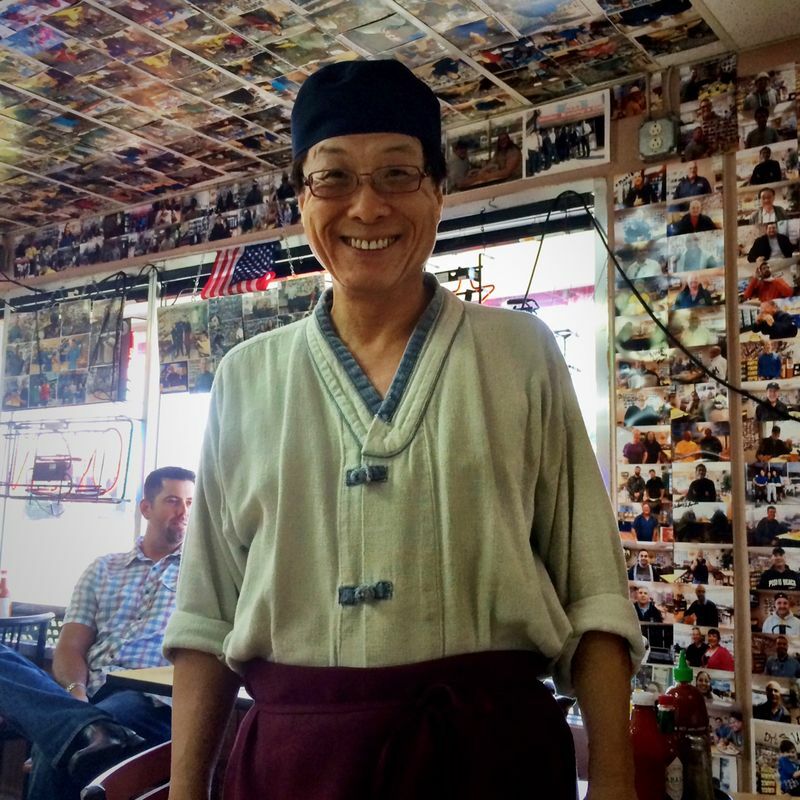 We asked what was the best, and he came around in front of the counter to show us three photos of happy customers with their food (or in one case, their empty bowls). 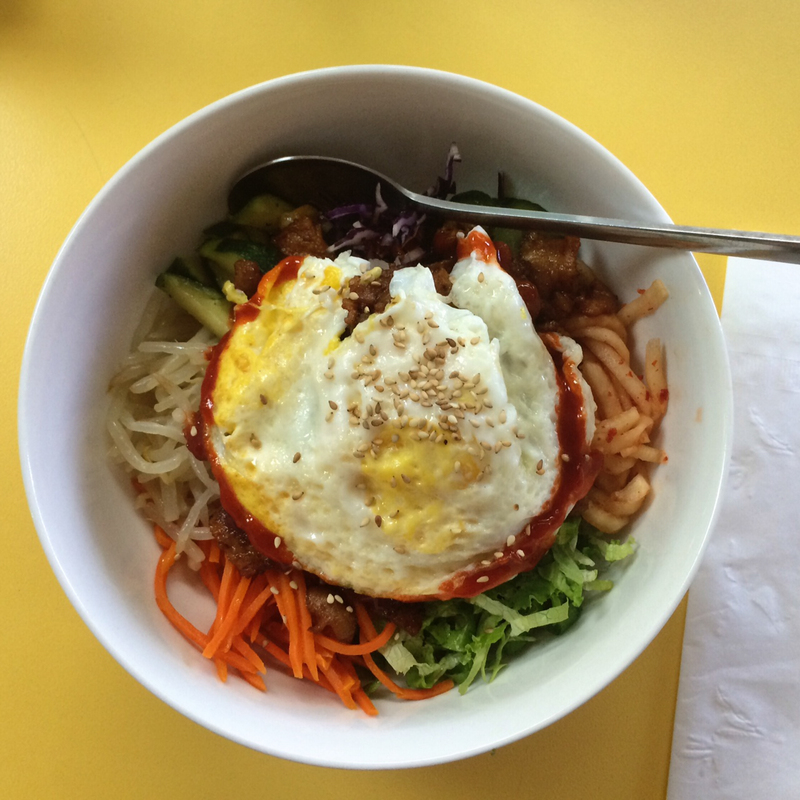 All three of us opted for the bibimbap, which Kenny said was one of their specialties. The bowl was filled with tons of fresh veggies around a small ball of rice in the middle, spicy pork (there are several other options…salmon, chicken, etc. ), then topped with a fried egg dipped in spicy sauce. It was fantastic. This is not the kind of place I'd ever choose to go to by looking at the menu first. For instance: bibimbap, BBQ burgers, Philly cheesesteaks, Hawaiian rice bowls, breakfast burritos…it's ALL OVER THE PLACE, right?? By the time we were finished with our lunch, the place was completely full with a solid line of customers still ordering, and a growing pile of take-out order boxes behind the counter waiting to be picked up. The guy next to us said Kenny's BBQ burger is the best he's ever had and his whole family comes here for it. Someone else on Yelp swears by Kenny's jalapeno breakfast burritos. Seems like there's something for everyone, but it's actually all good! 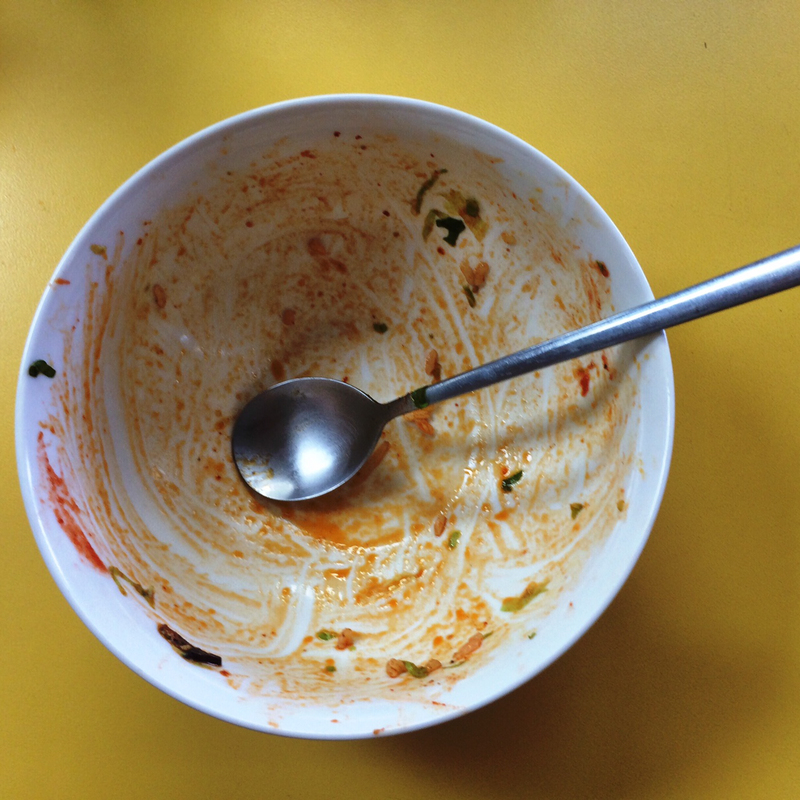 Kenny came over when we were half way through our bibimbap bowls and asked if we liked the food (OMG yes! ), and then he took a photo of us (with his smartphone). We will definitely be back to see Kenny (and our photo, on the ceiling).